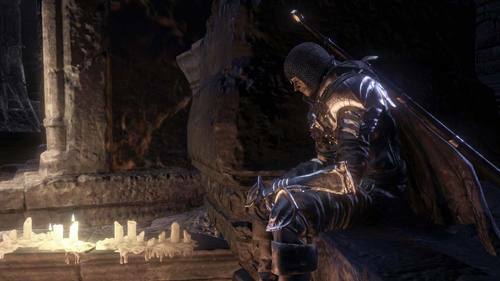 He sits at Firelink Shrine. 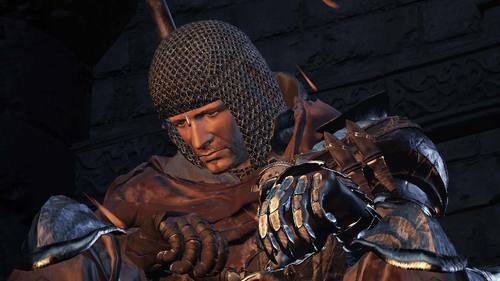 One of the Unkindled, yet already crestfallen, he has no ornamentation beyond his Undead Legion armor and greatsword. He is a deserter of the renowned Farron Undead Legion. Shield that belonged to Hawkwood, a deserter from the Undead Legion. The unique swordsmanship of the Watchers does not normally allow for the use of shields. The unique swordsmanship of the Watchers would not allow such a shield, and Hawkwood's very possession of it was telltale of his defeat.